“The Pilot House,” a 2014 digital montage by Jeffery Becton. Courtesy of the artist. 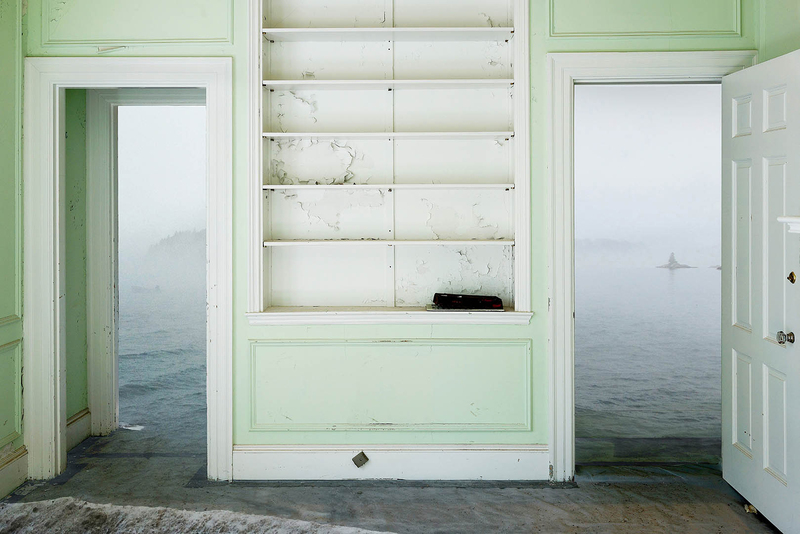 An exhibition of Maine photographer Jeffery Becton’s digital images, which merge seascape and interior views in dreamlike ways, and a show of posters from the worldwide Occupy movement open at the Bates College Museum of Art with a reception at 6 p.m. Friday, Nov. 6, in the Olin Arts Center, 75 Russell St.
Becton will sign copies of the new book, The Farthest House (Marshall Wilkes), during the opening. The book features 68 reproductions of Becton’s images; an exploration of his work and career by noted Maine art historian Carl Little; and appreciations of the artist by novelist Deborah Weisgall, Wall Street Journal critic Peter Plagens and Bates museum director Dan Mills, who curated the exhibition. 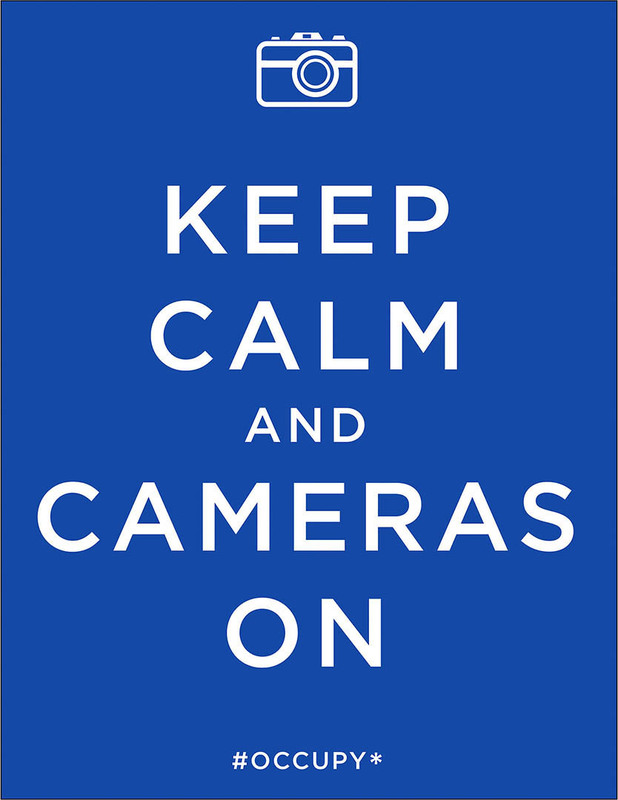 “Keep Calm,” a 2011 poster by Mark Miller, Los Angeles. The museum’s winter exhibitions, titled The View Out His Window (and in his mind’s eye): Photographs by Jeffery Becton and The Art of Occupy: The Occuprint Portfolio, run through March 26. Showing at the museum through the same period is Maine Collected: Contemporary Selections From the Permanent Collection, an exhibition of images from the museum’s holdings by living artists with a Maine connection. Bates art museum events are always open to the public at no cost. The museum’s regular hours are 10 a.m. to 5 p.m. Monday through Saturday (until 7 p.m. Wednesdays while Bates is in session). For more information, please contact 207-786-6158 or museum@bates.edu.